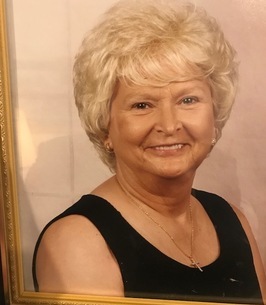 Obituary for Mary Annis Bright McJunkins Corbitt | Loudon Funeral Home and Cremations, Inc.
Mary Annis Bright McJunkins Corbitt, born August 21, 1937 in Loudon, TN passed away on January 10, 2019 at the age of 81. She was a longtime resident of Aurora, IL and worked for many years for AT&T in Montgomery, IL. She lived in both Loudon, TN and Vero Beach, FL post retirement. Mary is survived by two daughters, Carla (Tommy) Robinson, Maryville TN and Kim (Eric) Schaefer, Oswego, IL; two brothers, Luke Bright, Philadelphia, TN and Ben Bright, Benton, TN; four grandchildren, Brent (Michelle) Robinson, Tiffany Suggs, Autumn Carter and Joshua Suggs; and ten great-grandchildren, Destiny, Brock, Isaiah, Lilyanna, Damiann, Mia, Hannah, DeSean, Nicole and Malayah; along with many loving nieces, nephews and cousins. She was preceded in death by her spouses, Carl H. McJunkins and James K. Corbitt; her parents, Henry J. Bright and Dovie Kirkland Bright; two brothers, Henry J. Bright, Jr. and Buddy Bright; and her grand-daughter, Ashley. Her family will be receiving family and friends from 5 to 7 p.m. on Friday, January 18, 2019, immediately followed by a funeral service with Pastor Rick Harrell officiating. Interment will be Saturday, January 19, 2019 at 1 p.m. at Corinth Baptist Church Cemetery, Loudon, TN. Loudon Funeral Home is in charge of the arrangements.